The Women’s Equality Day program celebration features NC House Representative Deb Butler, NC House District 18 (Brunswick and New Hanover Counties). Representative Butler is one of the co-sponsors of House Bill 1072 (Equal Rights Amendment), introduced during the 2017-2018 session of the General Assembly (June 1, 2018). Representative Butler is a dynamic advocate for the ERA. We are pleased that she can be with us to talk about her efforts and those of her colleagues to ensure the passing of the ERA. What an historic opportunity it would be for our state to be the final state to ratify the ERA. Read more about this event at Women’s Equality Day with Fayetteville NOW on 8/26/18. Celebrating the Voices and Victories of the past as we continue to unite women and “March on the Polls” this election season! Recognizing the urgency and importance of this year’s elections, we gather to celebrate women’s hard-won right to vote and take action to make sure we use that right in November to support women’s rights! Keynote speaker is Rebecca Todd Peters, Professor of Religious Studies and Director of the Poverty and Social Justice Program at Elon University and an author. Read more about this event at Triad Women’s Equality Day Event – 8/26/18. Women, men and families gather at 4:30 pm at the Durham County Register of Deeds Office on 200 E Main St. At 5pm, people march to Durham Central Park. The ongoing struggle for social, political and economic equality will be recognized with great speakers before the march and at the march destination. This was a family friendly event, and besides the speakers, there are performance artists, food trucks, a DJ and two other bands. As a really special touch, we have a singer do a tribute to Aretha Franklin! This is the fourth Women’s Equality Day March and Rally by these organizers in Durham. 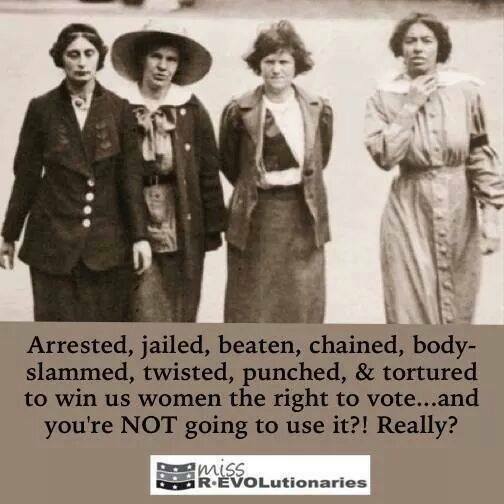 This entry was posted in voting, women, Women's Equality Day and tagged march, voting, women, Women's Equality Day. Bookmark the permalink.